or for a van down by the river. 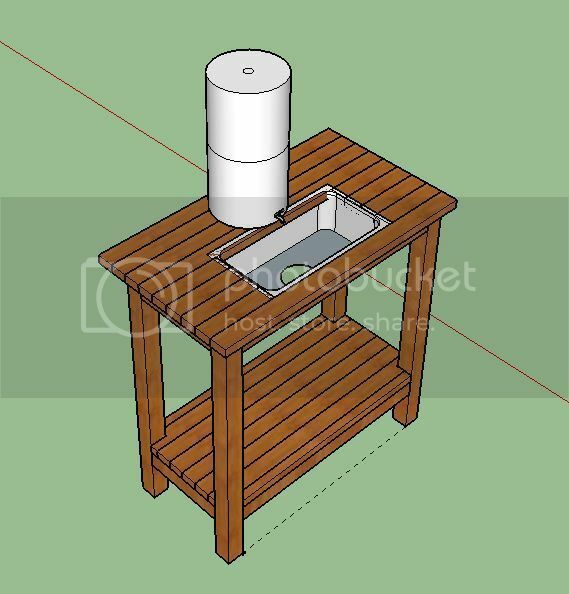 Great design, while you won't have much pressure coming out of the spigot, it would help to get a cup underneath the spigot easier. 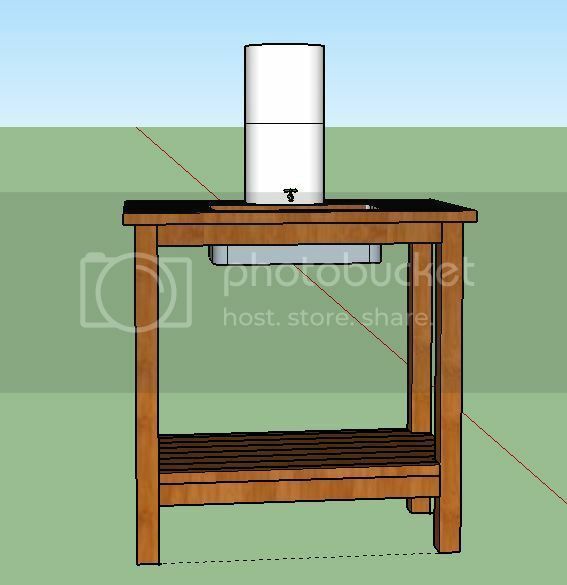 might want to raise the berkey up 6" or so to give you more room to get dishes, pots, etc under the spigot.